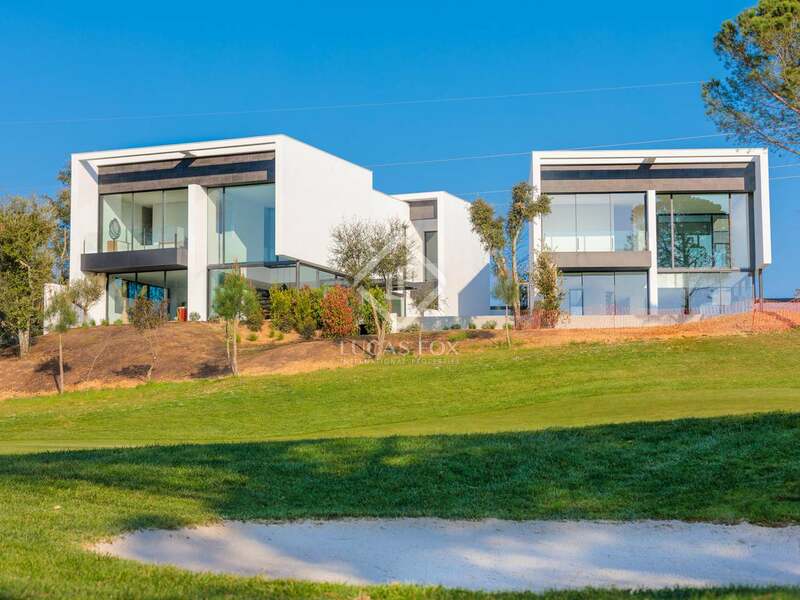 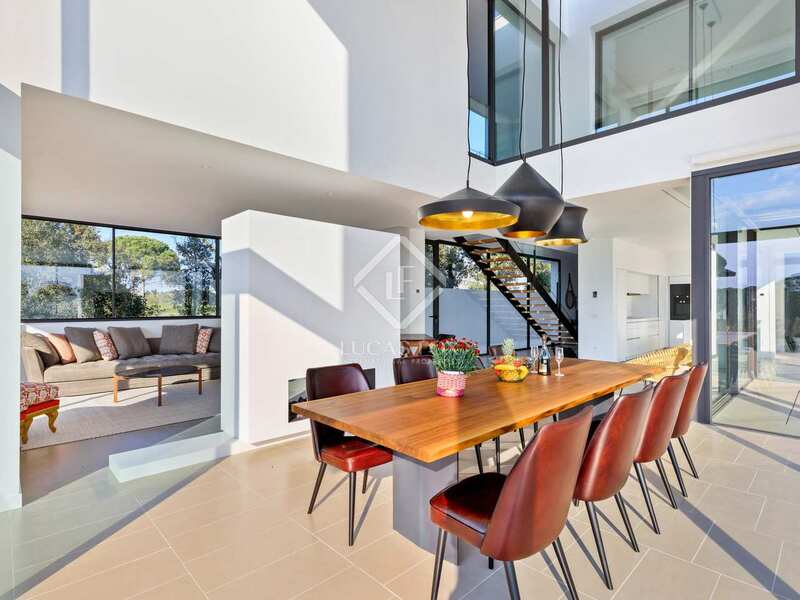 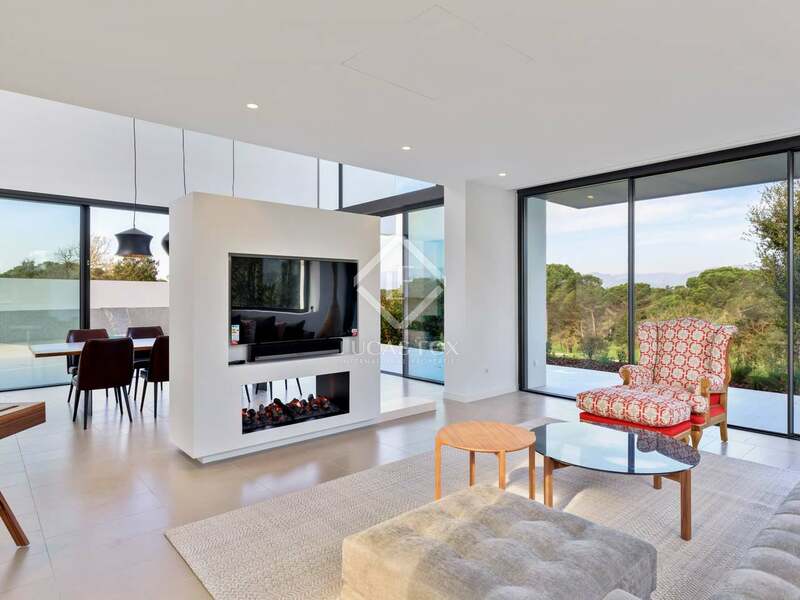 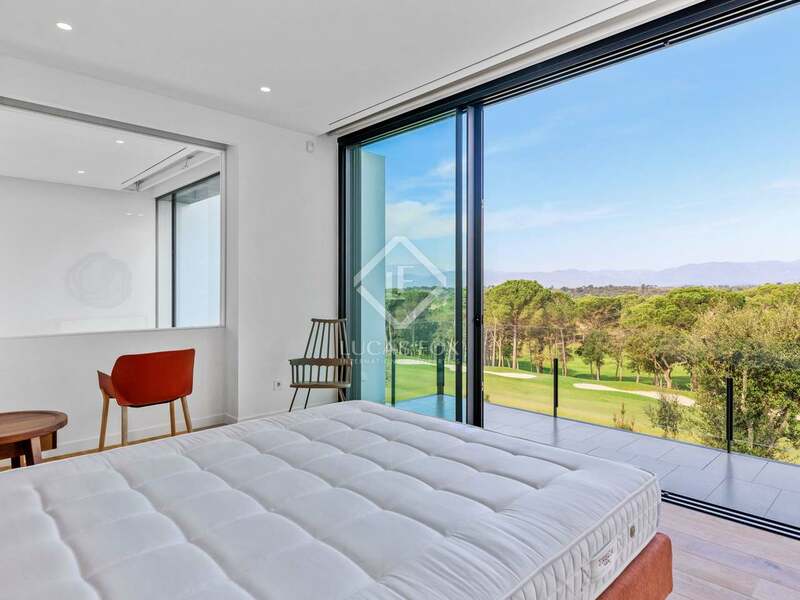 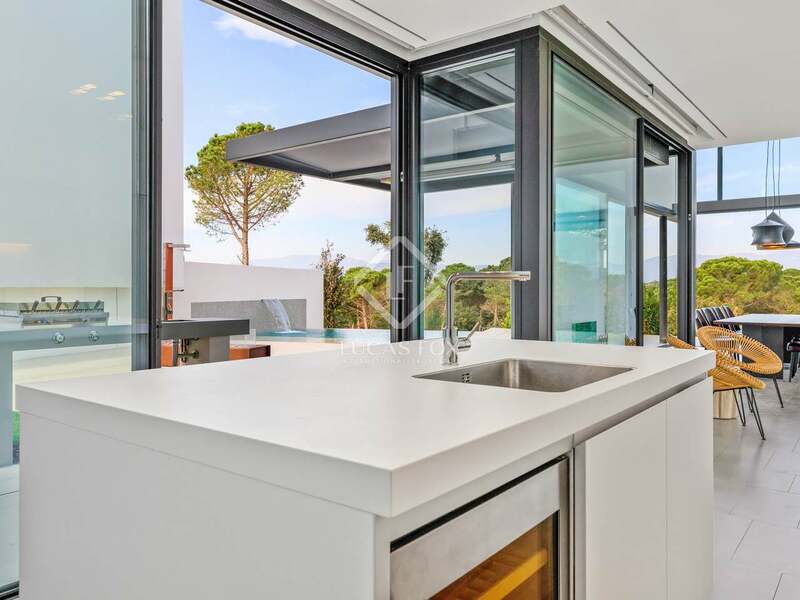 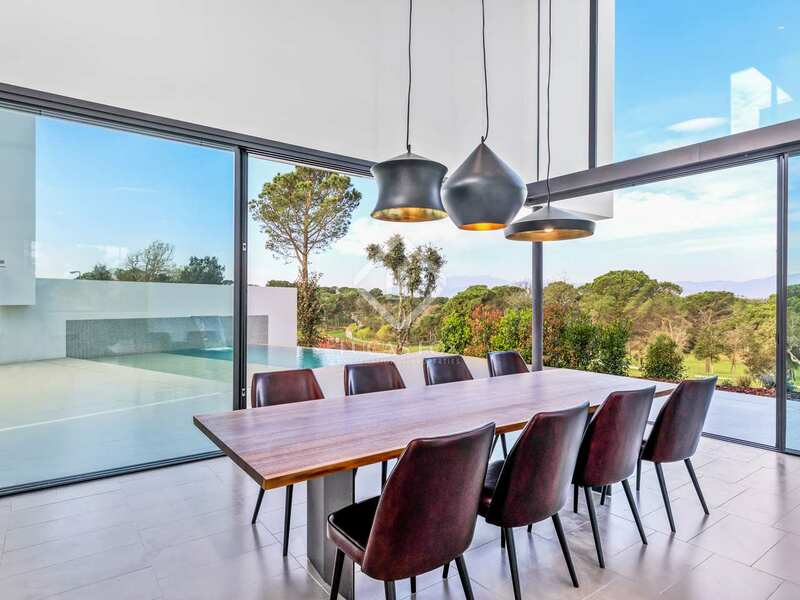 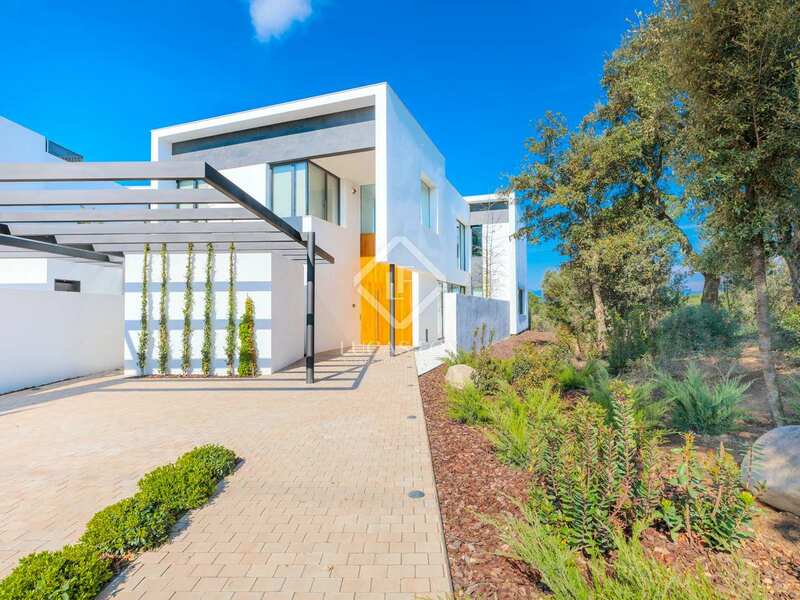 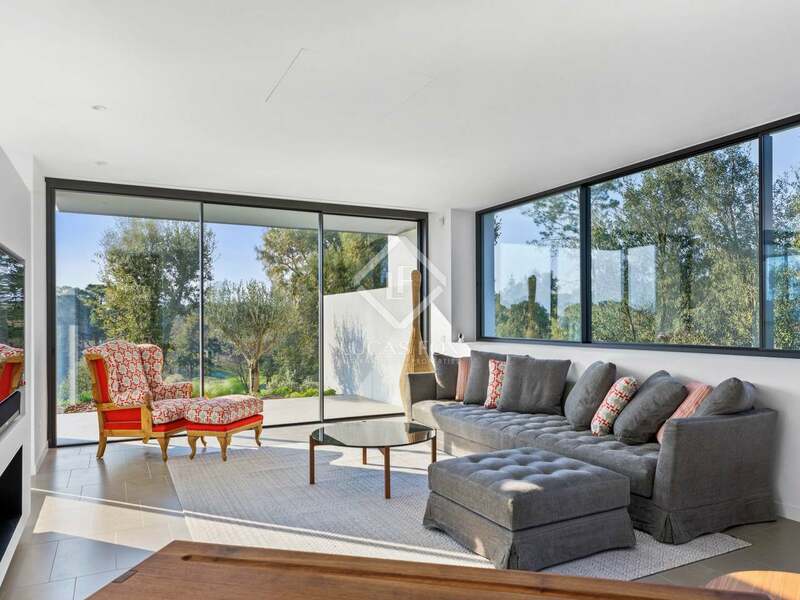 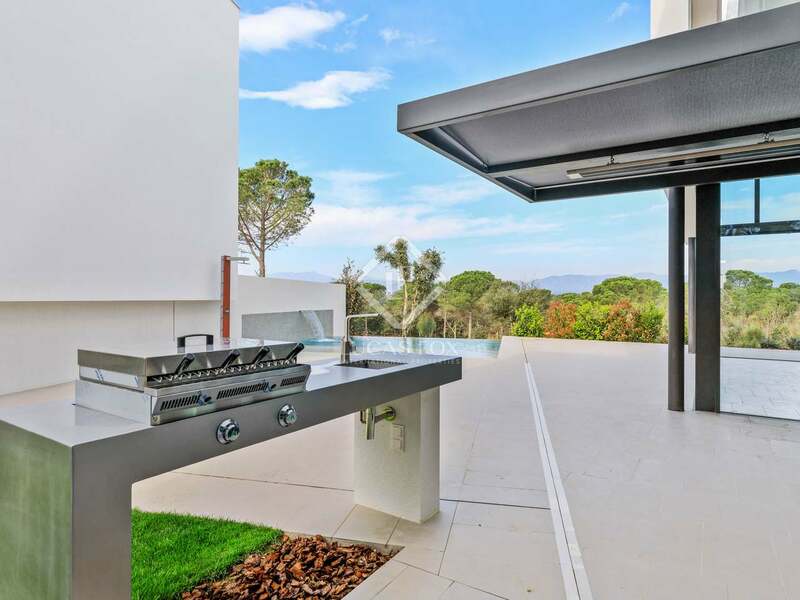 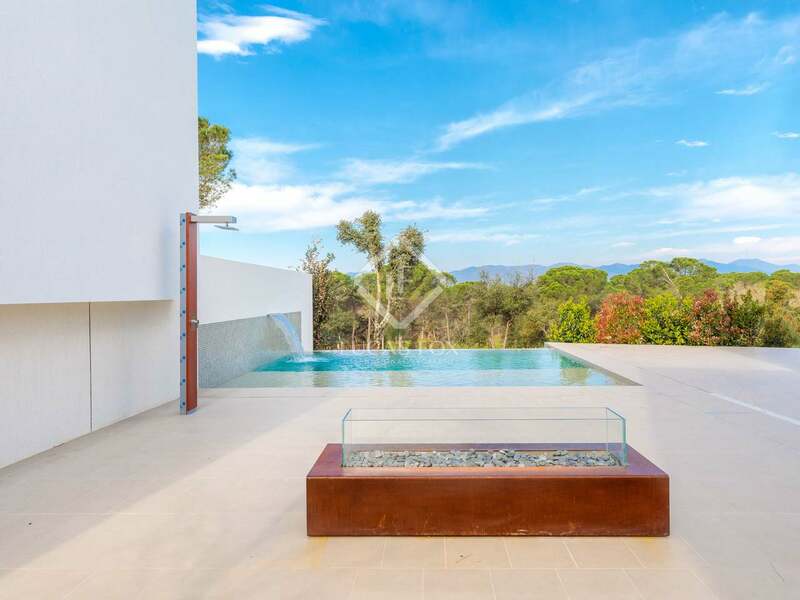 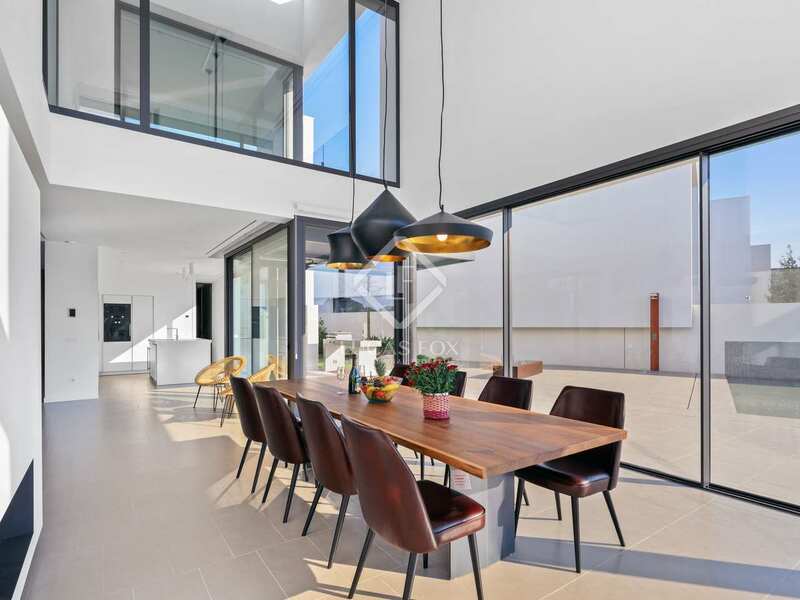 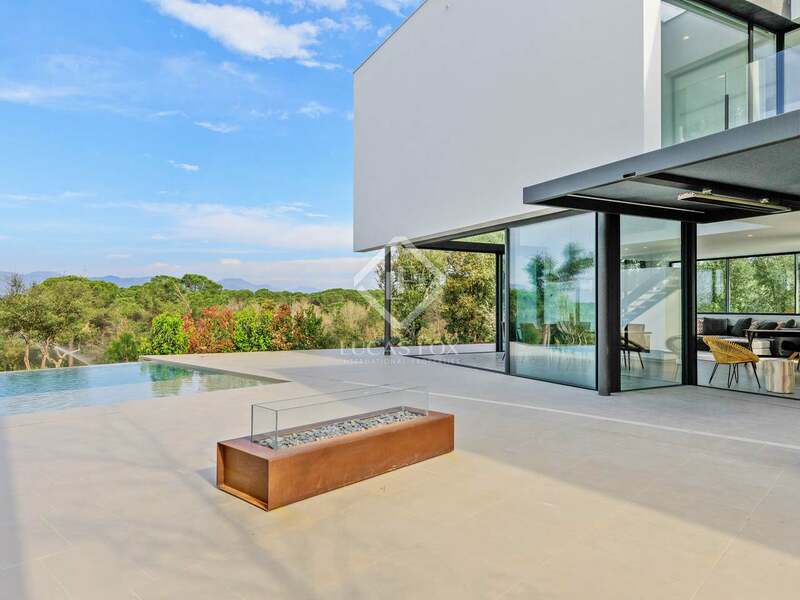 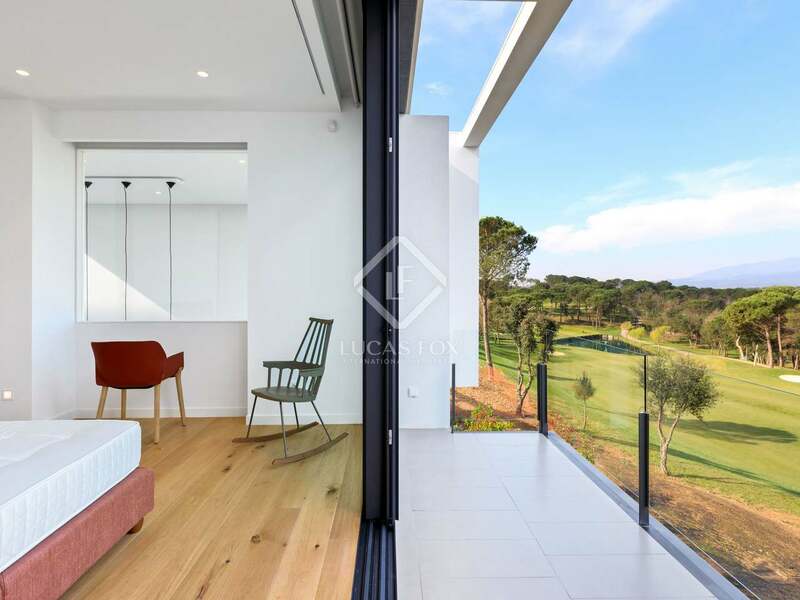 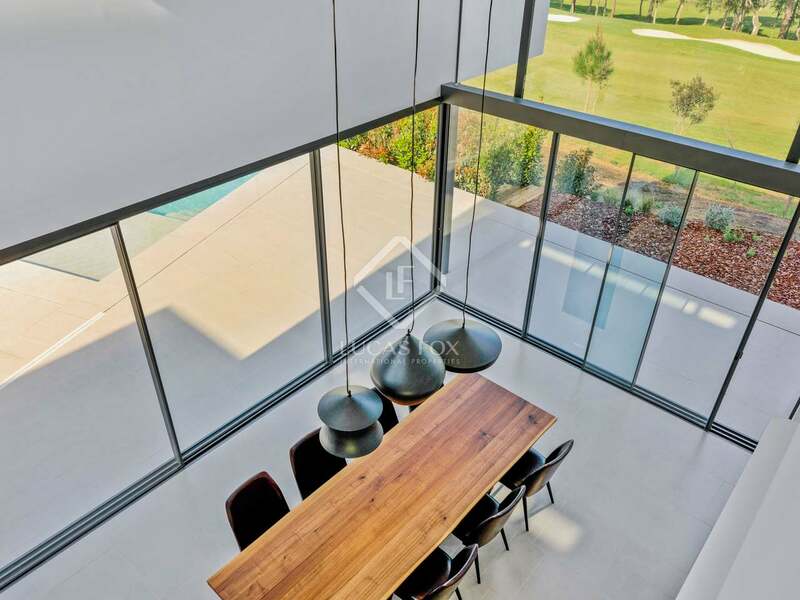 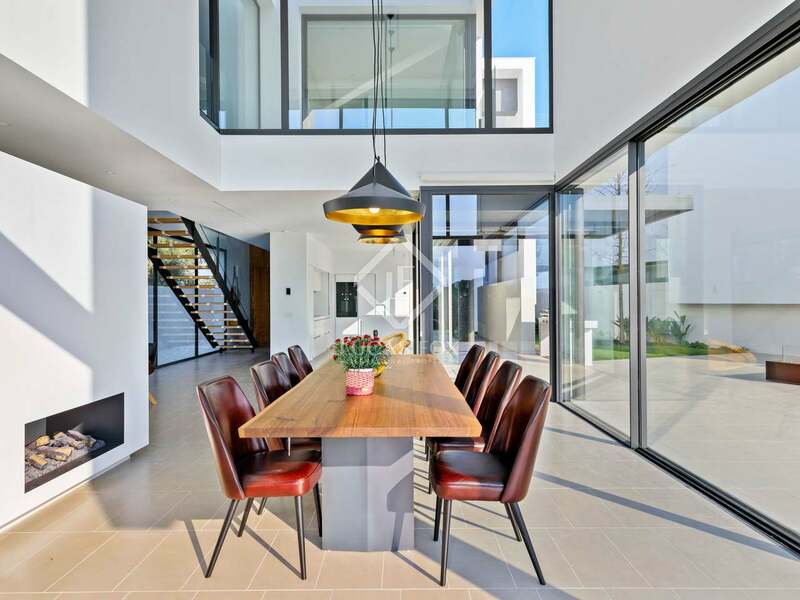 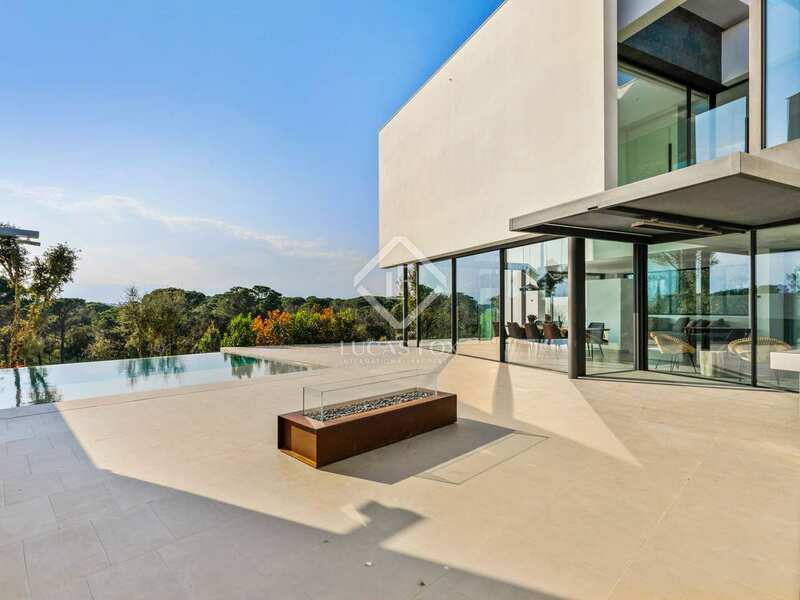 These 9 striking, contemporary design villas enjoy a privileged location on the PGA de Catalunya golf resort near Girona city, with beautiful green views over the golf course to the Pyrenees beyond. 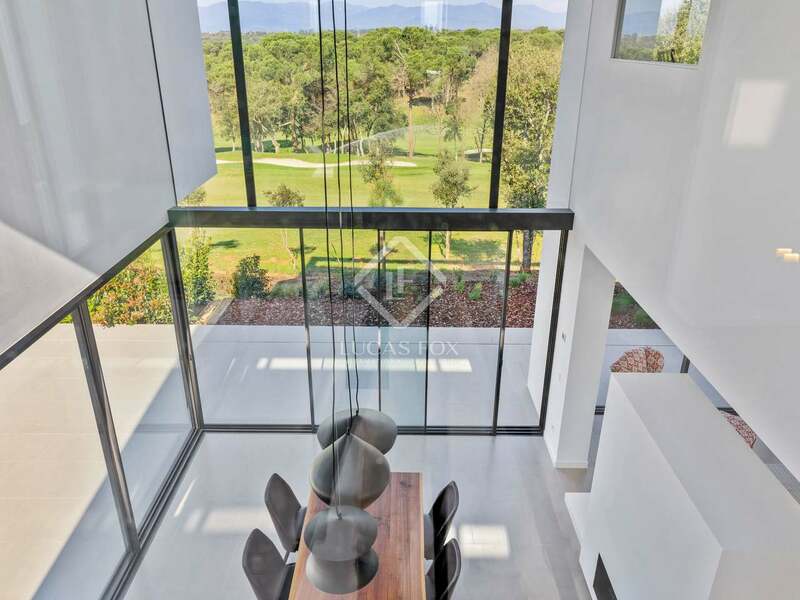 With generous sized living spaces, large double height windows, under floor heating and ample natural light, these villas have been artfully designed to epitomise luxury living. 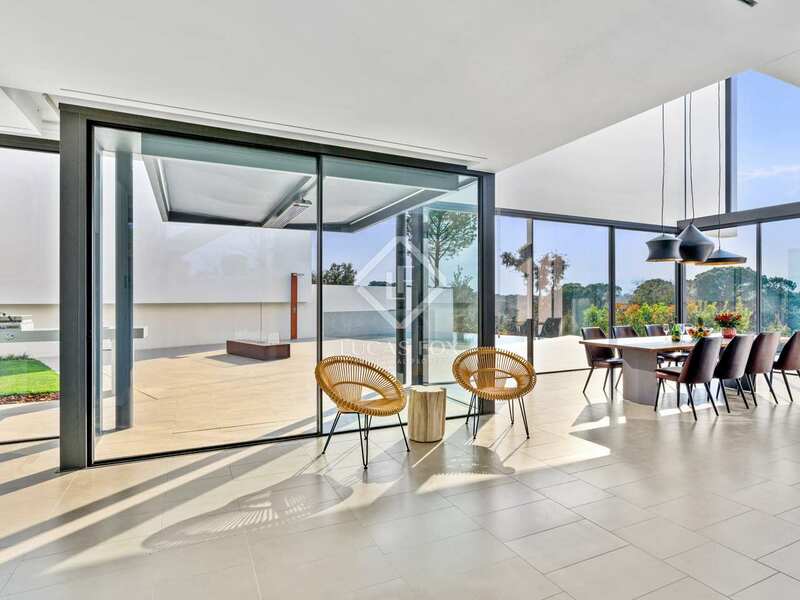 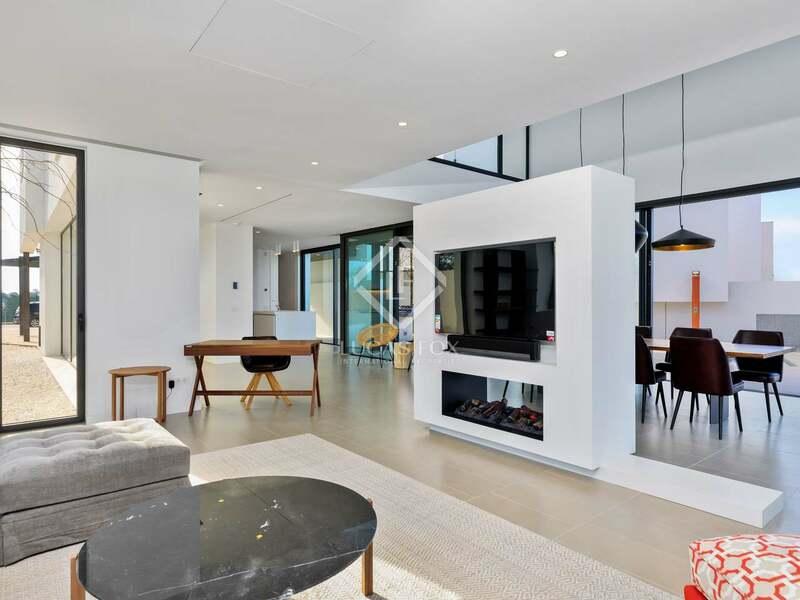 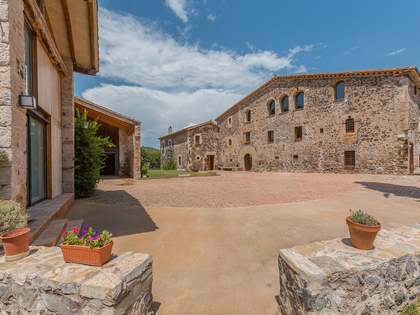 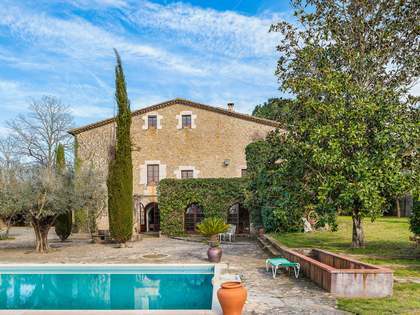 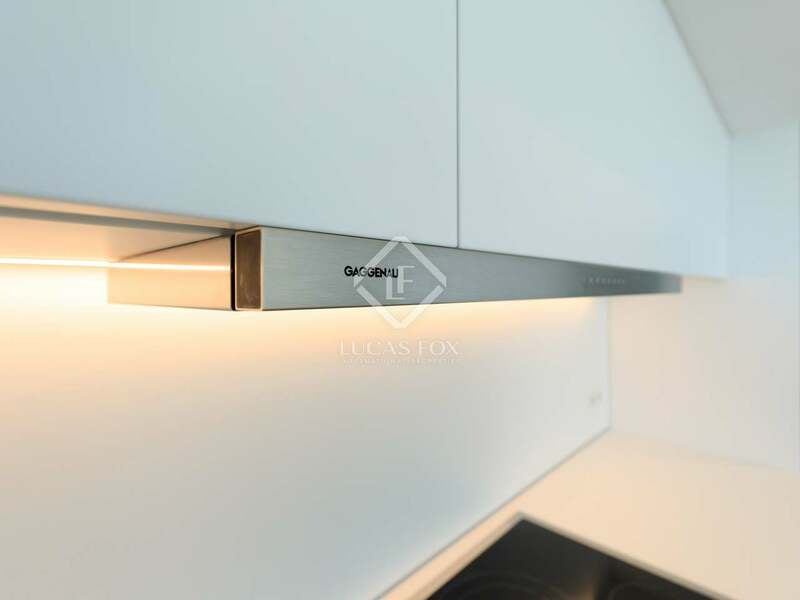 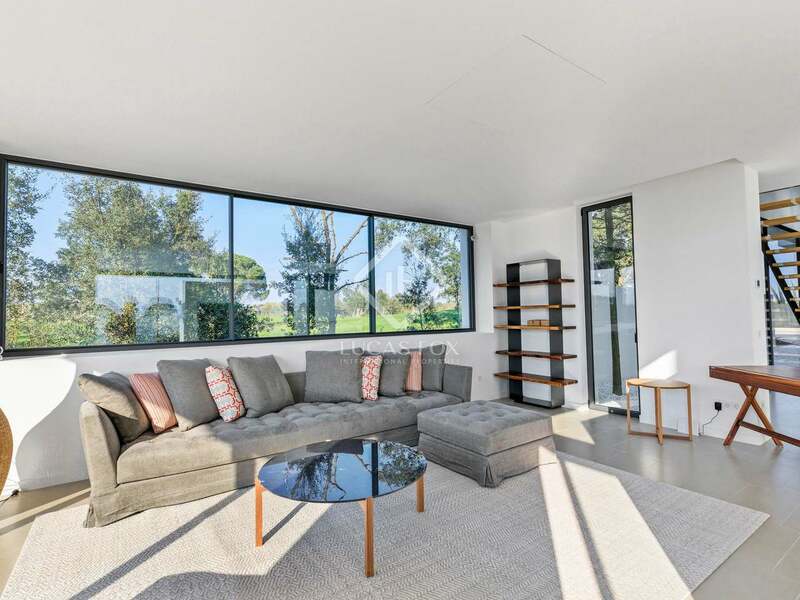 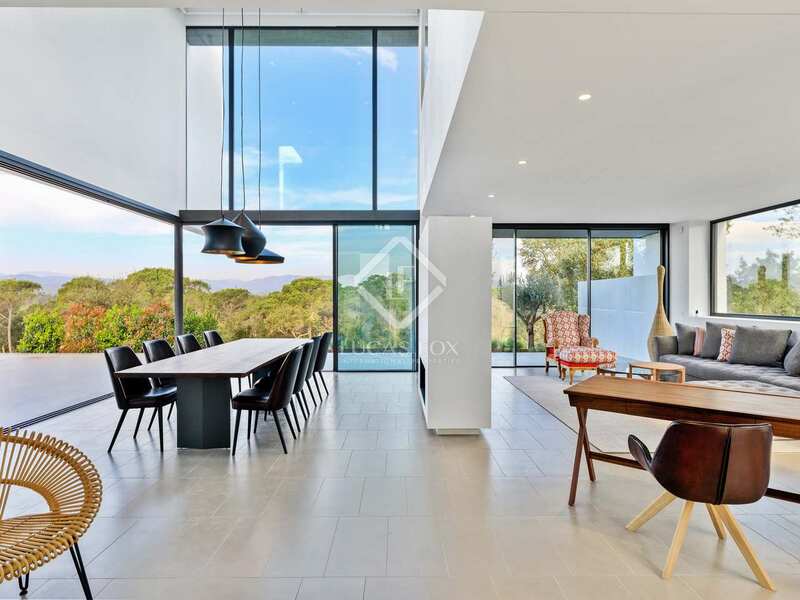 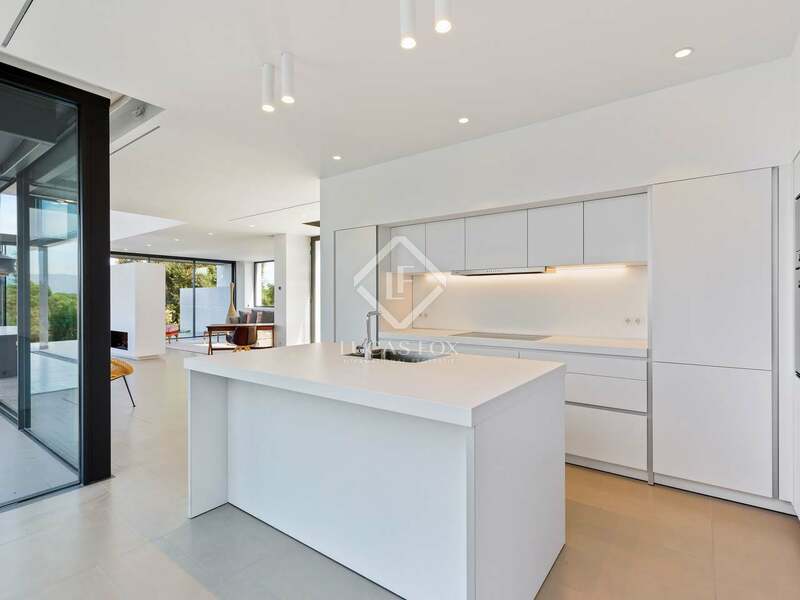 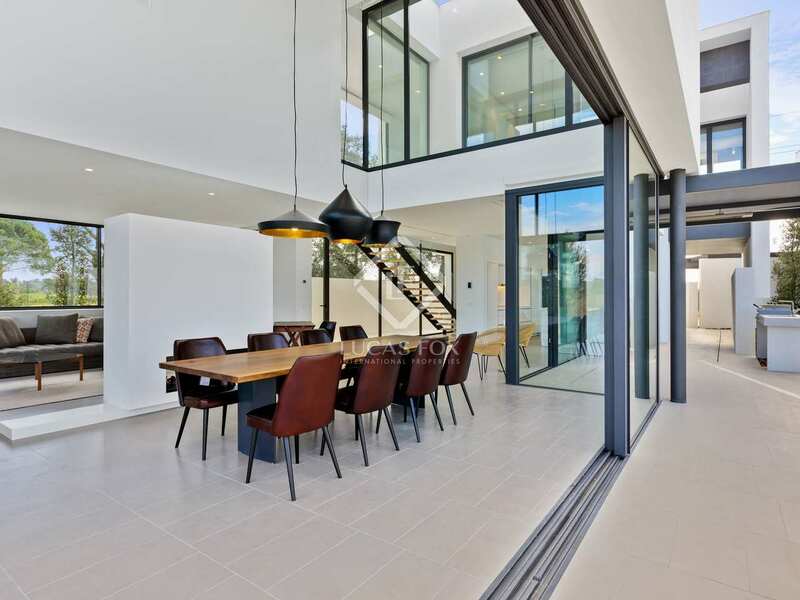 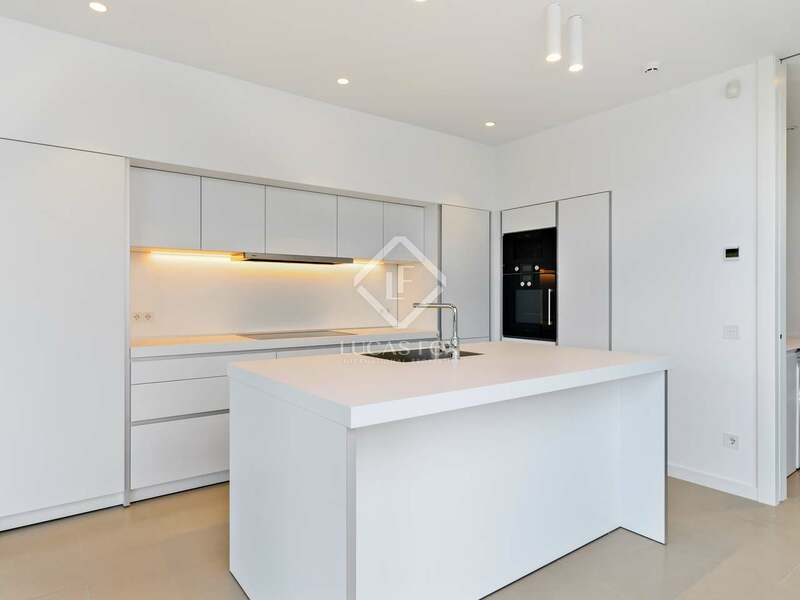 The ground floor of these high-end homes offers an entrance hall and an interior patio garden, followed by a modern, open kitchen and dining room, with access to a dining terrace of 57 m². 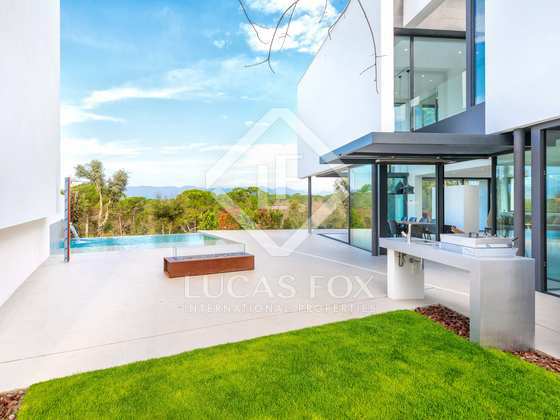 The double height living area of 50 m² leads out to the front terrace of 47 m², a 38 m² pool and lawn gardens of over 190 m² with automatic irrigation. 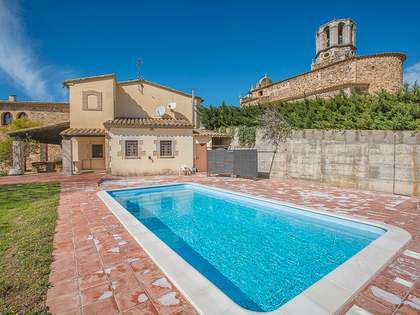 There is also a spacious double bedroom with an en-suite bathroom and access to the front terrace and pool on the ground floor. 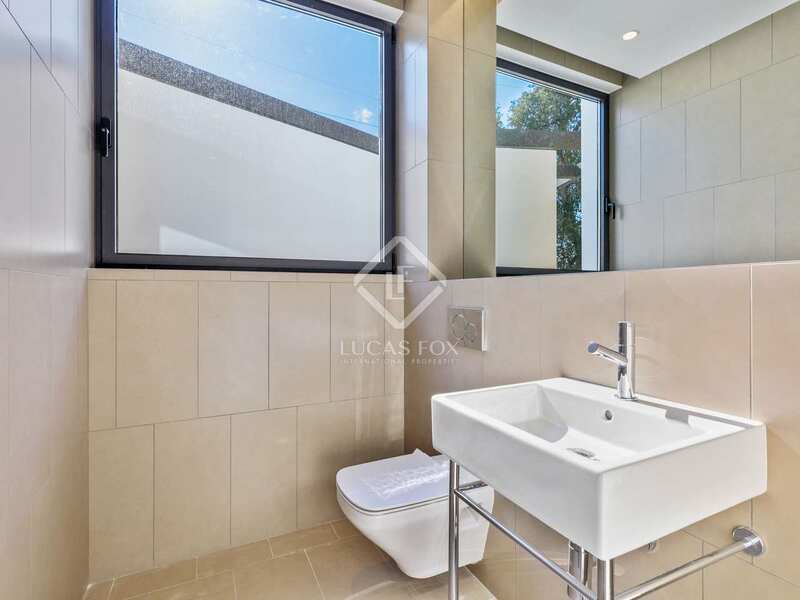 A utility room and guest toilet complete this level of the house. 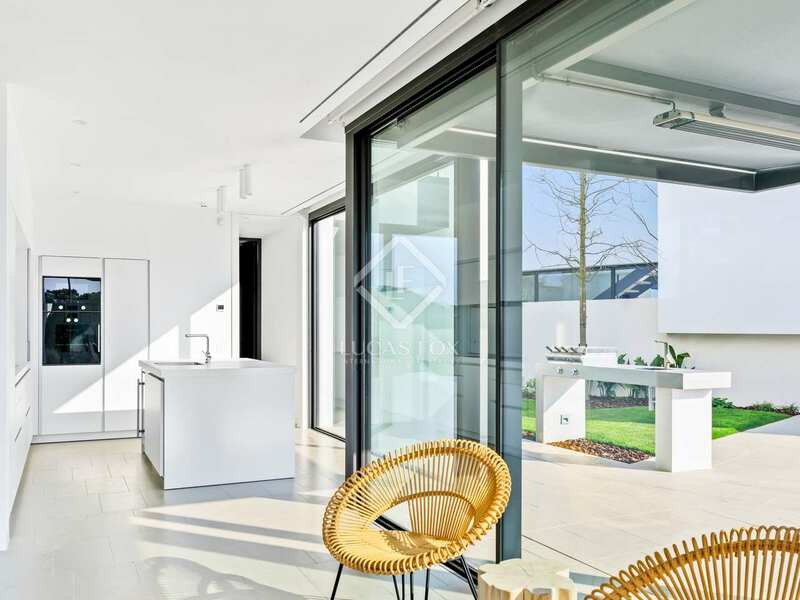 On the first floor we find 3 double bedrooms (13 m² - 20 m²) each with its own private terrace, two of which share a bathroom whilst one has its own private en-suite bathroom. 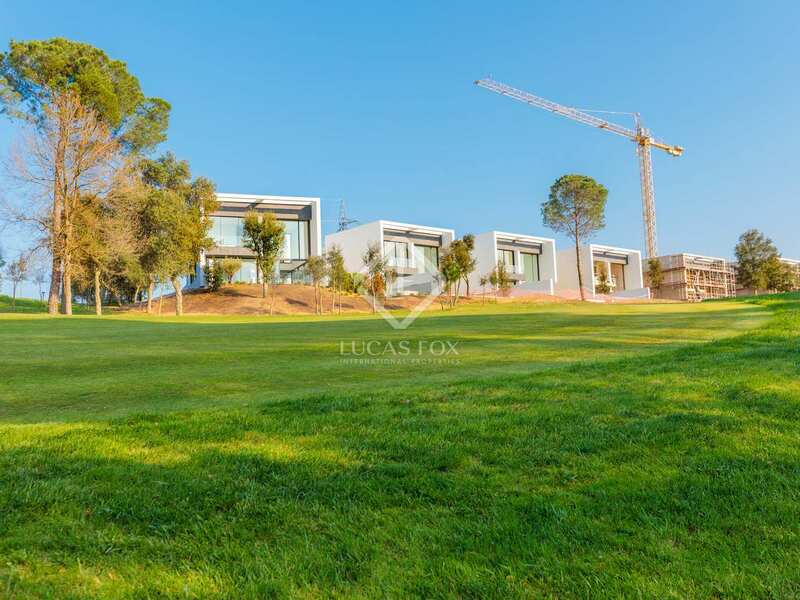 Parking spaces area also provided for 2 cars and an exterior storage room for golf clubs and bicycles. 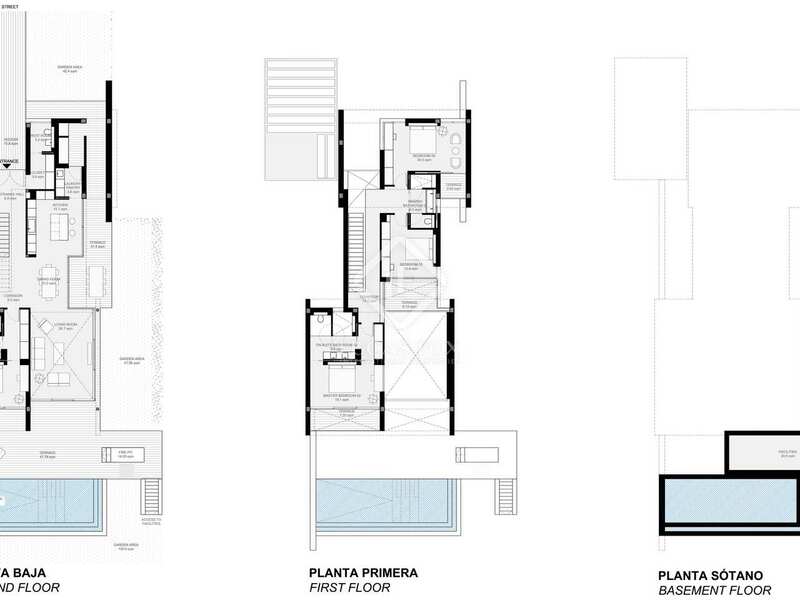 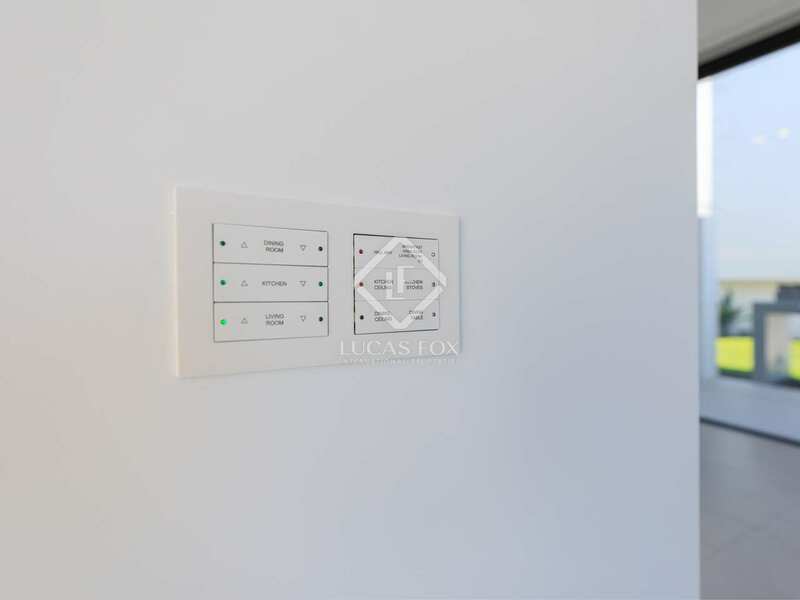 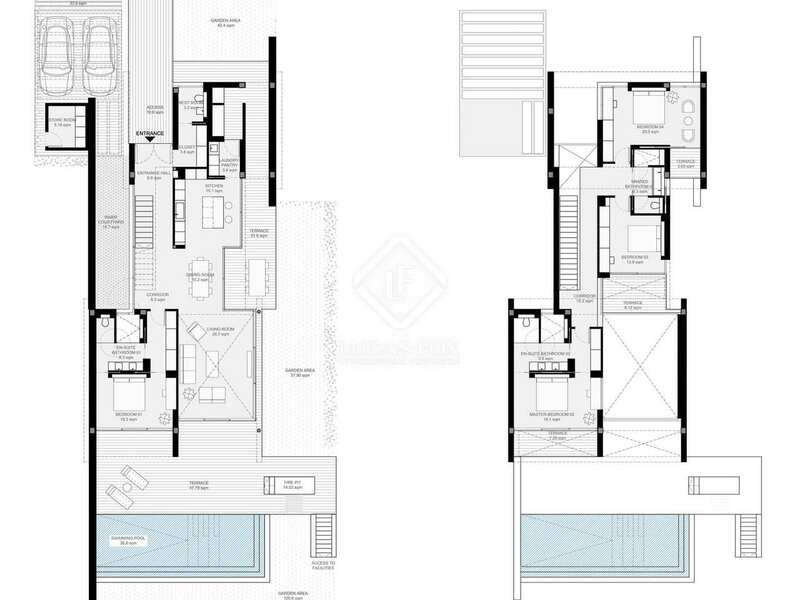 Perfect for primary or secondary residence or for investment. 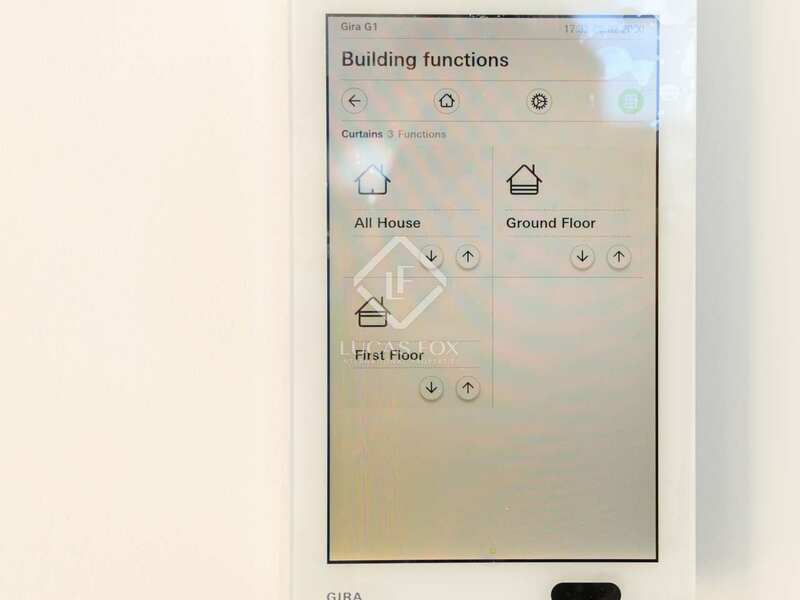 Construction began in the spring of 2018 with completion planned for the summer of 2019. 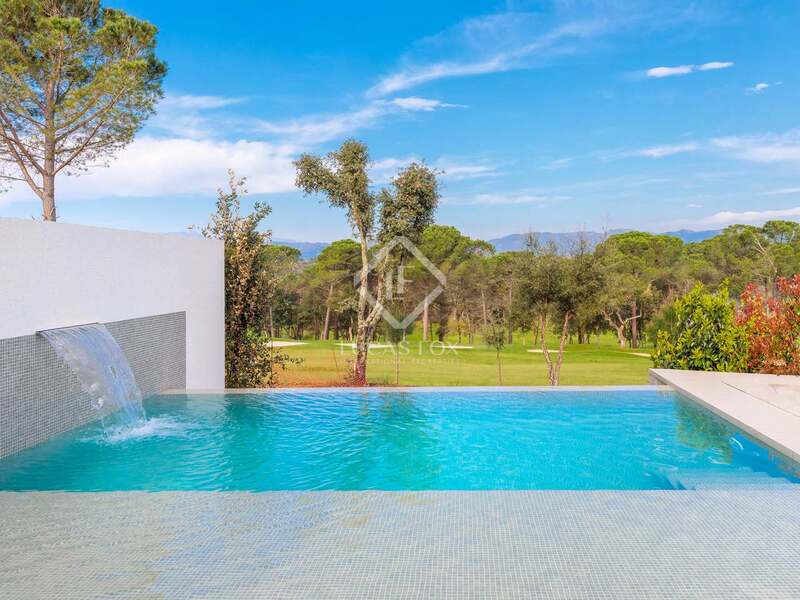 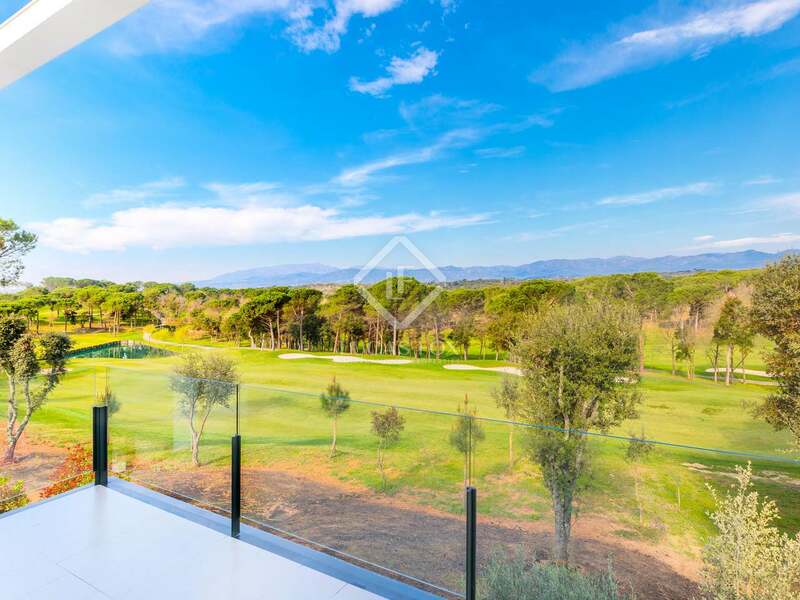 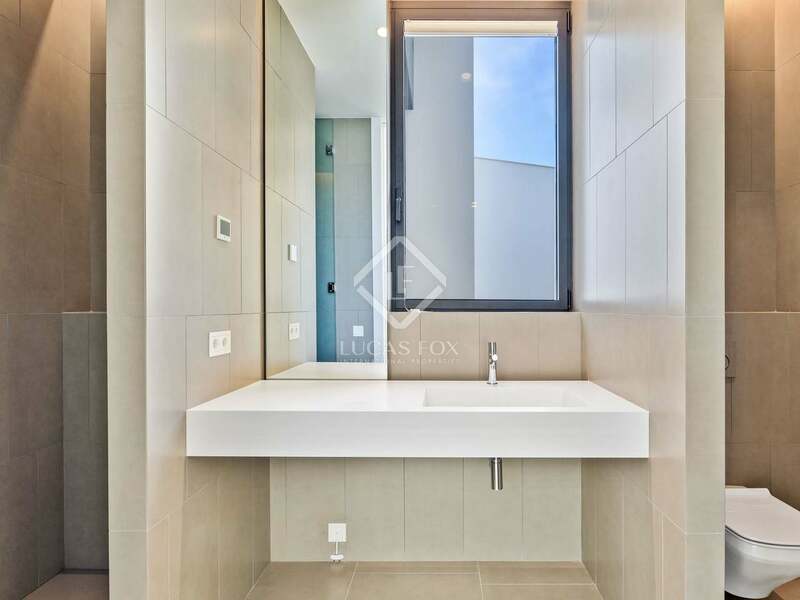 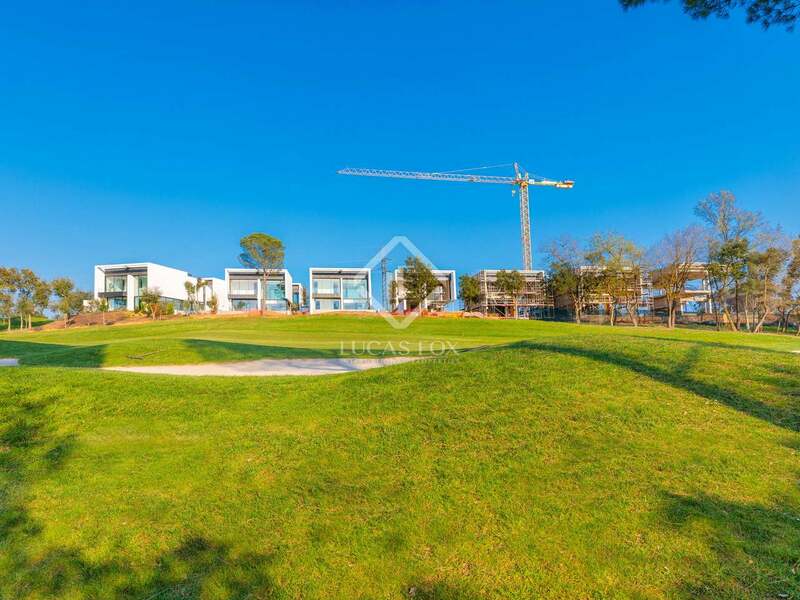 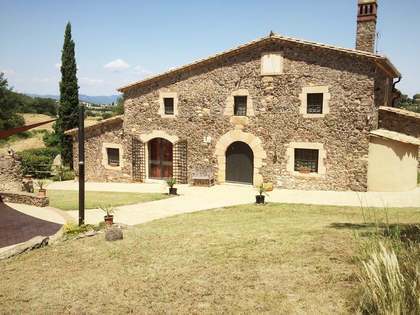 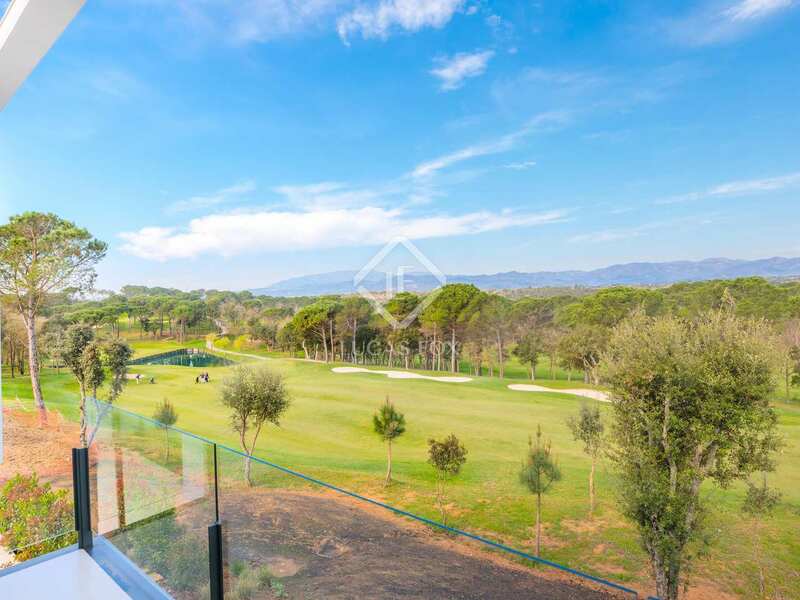 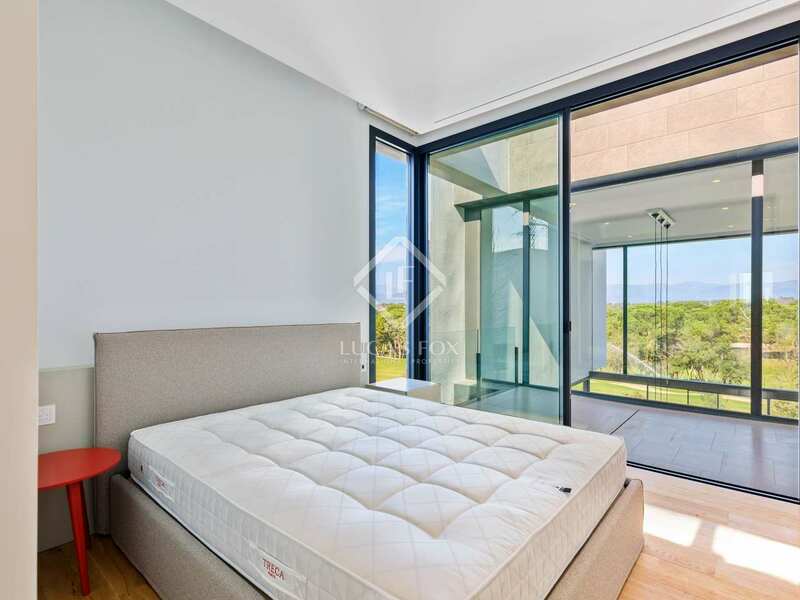 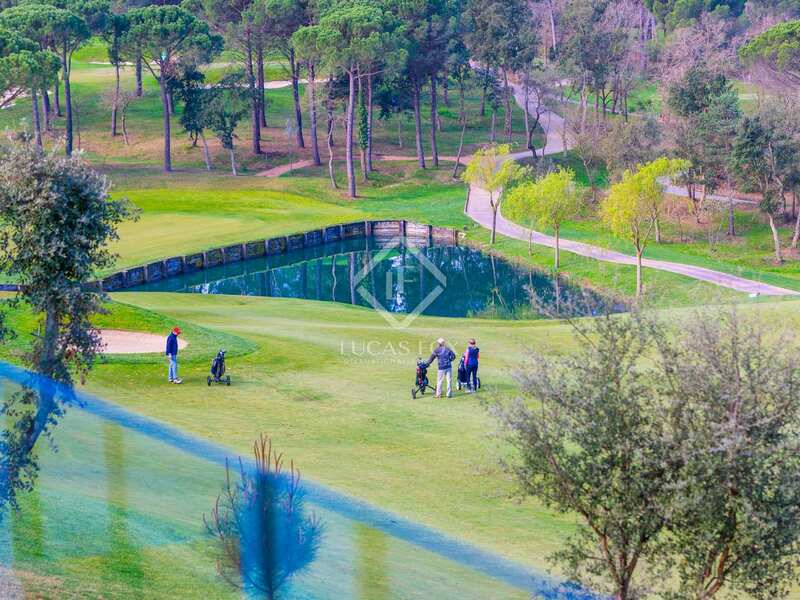 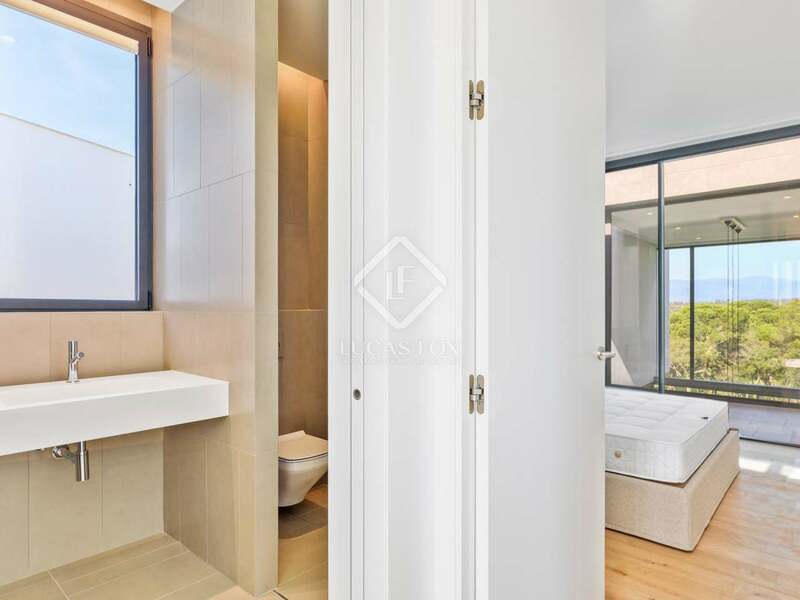 Properties located in the PGA de Catalunya golf resort, just 10 minutes from Girona airport, 15km from the historic city of Girona, 1 hour from Barcelona city and only 20 minutes from the beaches of the Costa Brava. 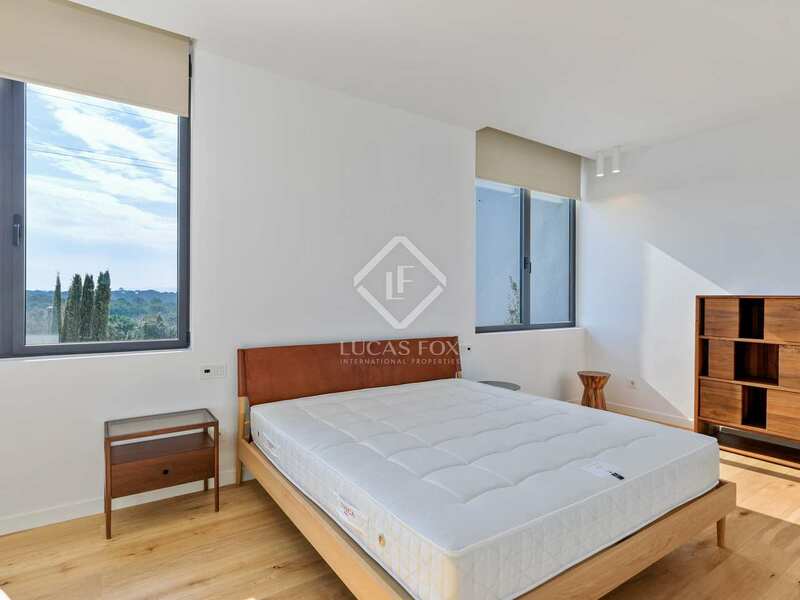 The properties are also just a 15-minute drive from the nearest international school.